Buying Services Covering the Whole Golden Horseshoe Buyers. How To Receive Priority Access To ALL New Listings That Match Your Home Buying Criteria. My Exclusive Buyer Profile System saves you Time and Money. 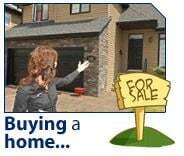 Simply tell me what you're looking for and get priority access to ALL homes that match your criteria, including Bank Foreclosures, Company Owned Properties and other Distress Sales. No more wasted time looking at out-dated information in newspapers or searching the internet. Priority access means you're there first before other buyers, so I can negotiate the lowest possible pricefor you and your time is not wasted viewing homes that don't interest you. Why is Buyer Representation Important ? The Buyers are to be protected by an agent who is working 100% for their interest (Not the Sellers). Some one who can guide you about the different areas within the city, where the price is trending upwards and where you will get the best return on your investment (Your home can be a great investment, we do tend to forget that many times). I am a specialist in my field and the whole point of hiring someone like me is to get the guidence throughout the whole process of buying by getting you all the related info about the different areas, which are closer to the better schools, Transit ,Churches, Mosques , Providing the complete Demographic Reports etc. Pulling out all the right comparable sales in the area and to negotiate tough on your behalf to get the best possible deal. To help you with the Acquisation of the Mortgage, find the right Home Inspector , Lawyer & Even the movers and to protect your interest right till the moment you move into your new Home. * If listed & sold by the Me. Does not cost you a Single Penny. Upto the Minute updated new listings notifications. You only get the Listings which are matching your criteria. Full Help in Getting you Qualified For Financing .